It is the time for everything pumpkin. From pumpkin pies to pumpkin bread to pumpkin butter and pumpkin lattes, you name it and it’s all filled with pumpkin! But did you realize, you’ve had it all in sweets? So does that mean pumpkin is best in all its sweet applications? Well, no! Try a savory pumpkin dish and you will relish the taste lifelong. 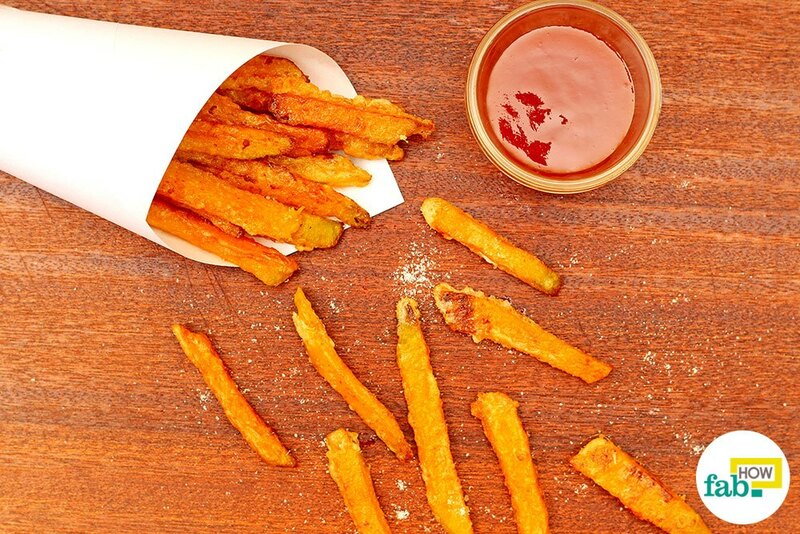 A perfect blend of sweet and salty, pumpkin fries are to die for. What’s more, they are incredibly healthy! Trust us, the sweetness of pumpkin with a sprinkle of salty parmesan is a bomb combination worth a try this fall! 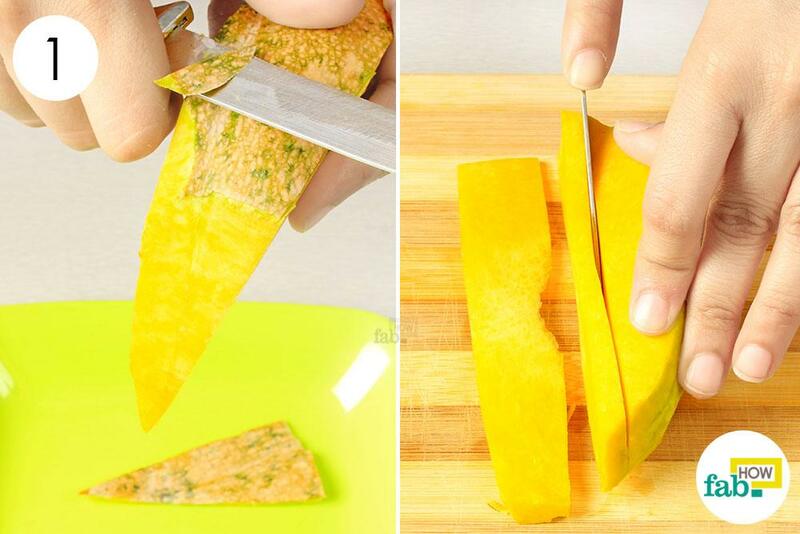 Cut the pumpkin in half and scoop out the pulp and the seeds. Cut the halves into quarters and then slices, and peel off the skin. 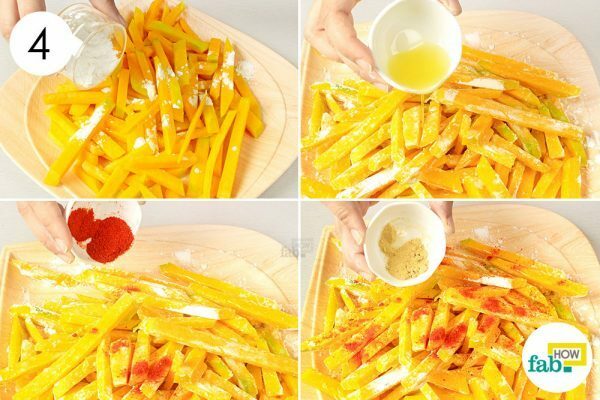 Slice the peeled pieces further into ¼ ̎ fries. 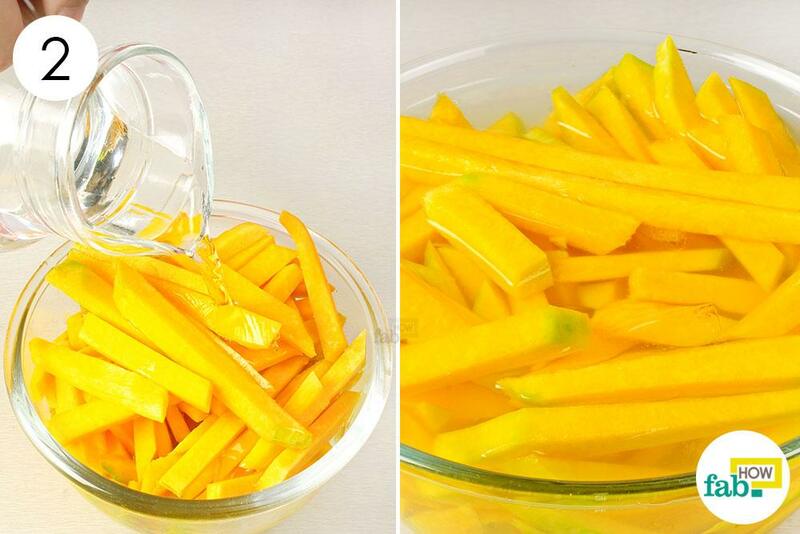 Place the raw pumpkin fries in a large bowl and pour in enough cold water to cover them. Let the fries soak in the water for 20 to 30 minutes. Alternatively, you can leave them overnight and strain off the water the next morning. Strain the fries and spread them out over paper towels. 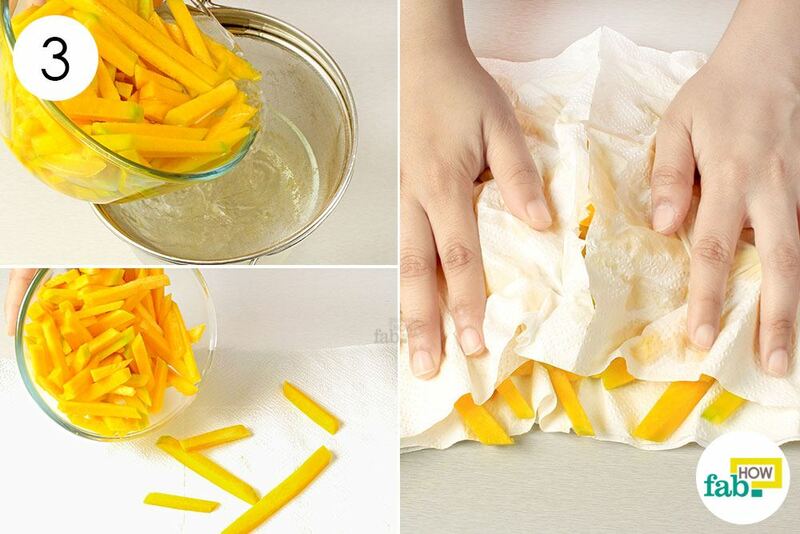 Transfer the fries onto a plate and sprinkle 2 tablespoons of corn starch over them. Drizzle 2 teaspoons of olive oil over the fries as well. Season and spice them with 1 teaspoon each of cayenne pepper and garlic powder. You can use paprika instead of cayenne pepper if you prefer. Mix thoroughly so that the fries are evenly coated with the seasonings. 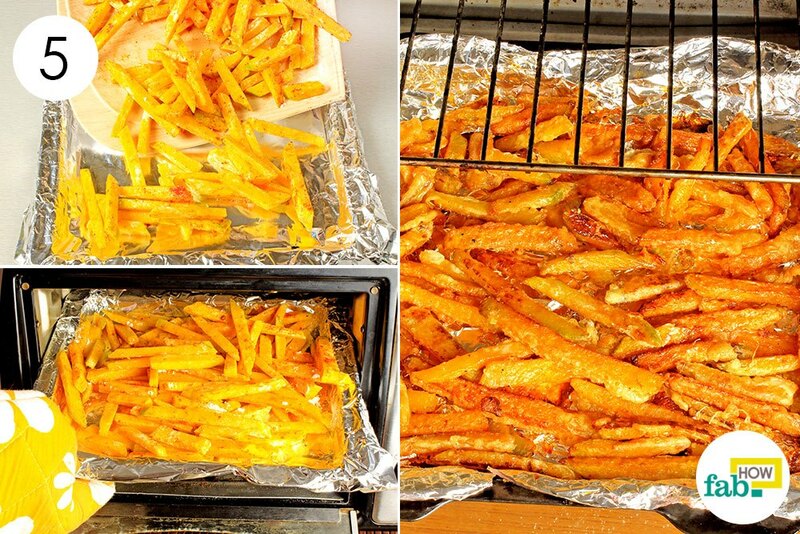 Line a baking tray with aluminum sheet or parchment paper and transfer the fries into it. Make sure you do not crowd your fries on the sheet. Set the temperature of your oven at 350° F (180° C) and bake the fries for 15 minutes. Halfway through, flip the fries over so they get crispy and golden brown on all sides. 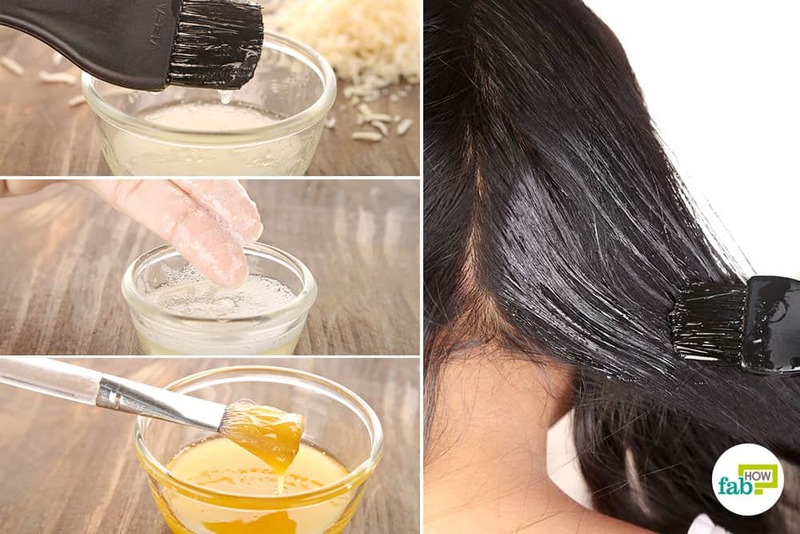 Toss together 3 tablespoons of grated parmesan cheese and 1 teaspoon of sea salt in a bowl. As soon as the fries come out of the oven, garnish them with the parmesan mixture. 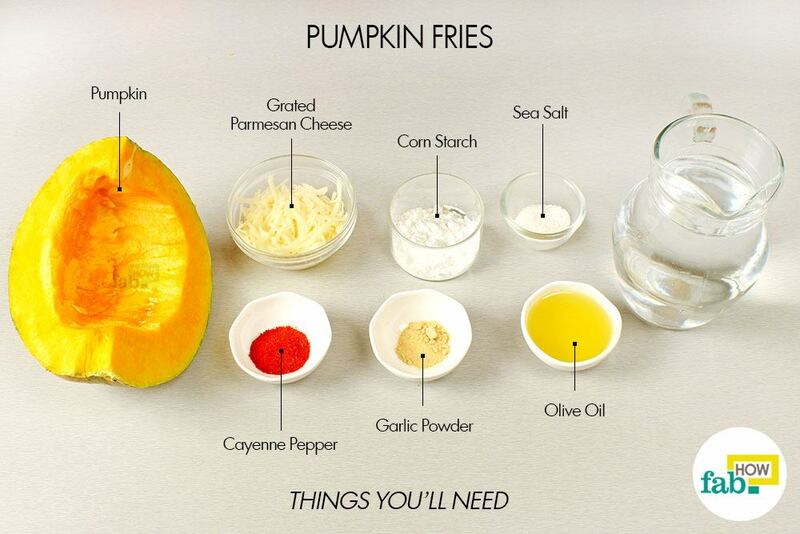 Enjoy your tasty and healthy pumpkin fries with pumpkin dip or any other dip of your choice. While working with a vegetable that tends to go soggy, the thicker the piece, the more time it takes for the middle to cook, thus releasing more moisture. So, slice the pumpkin into thin wedges, keeping your fries closer to ¼ inch in width and not more than ½ inch in length. It takes a little more time cutting, but they will cook up nicely and they do look adorable! 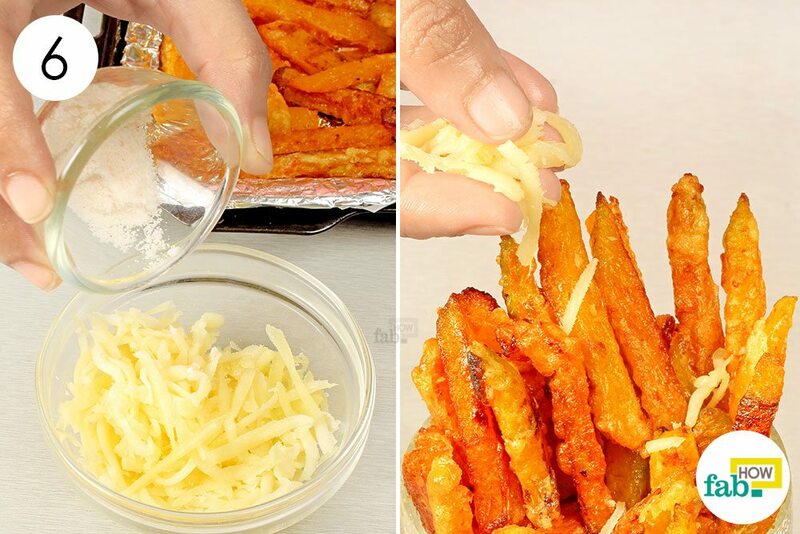 Soak the fries well before you proceed to bake them. Soaking takes away some of the starch from the veggies, thus preventing them from going all limp in the oven. But make sure you dry them really well before cooking. 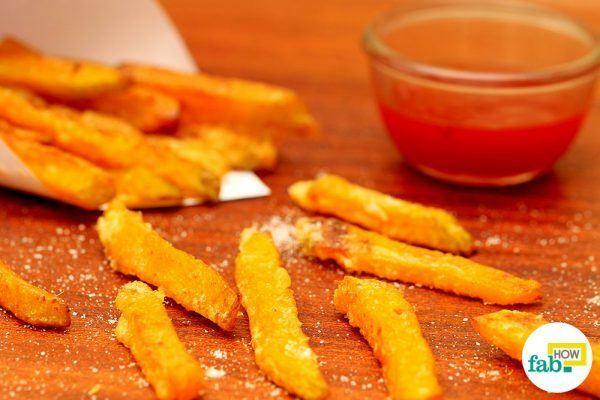 Coating your fries with corn starch helps absorb some of the starch and moisture from your veggies, which helps make them crispier. Do not crowd your fries on the baking sheet. Crowding restricts the circulation of air around each fry and instead of the fries crisping up, they just steam in their own moisture. So, give room to each fry and, if making a large batch, spread them over two baking sheets or more.